As ERC's president, Kelly has overall responsibility for ERC’s operations and strategic direction. Previously, Kelly led the Consulting & Training Services practice which provides HR solutions critical to an organizations success. This includes ERC's Executive Coaching, Employee Selection, Training services, Engagement Surveys, and Compensation and Consulting practices. In her time with ERC, Kelly is credited with growing ERC’s Training Services from a regional to a national practice. Under Kelly’s leadership ERC Training re-created and branded the ERC Supervisory Training curriculum which is offered in an open enrollment form at ERC, onsite at an organization or customized in a "Train-the-Trainer" format. Kelly is also a member of ERC's senior management team, providing significant input relative to ERC's operations and strategic direction. Prior to her time at ERC, Kelly was with Deloitte. 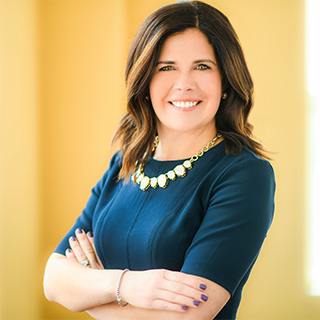 In her eight years with Deloitte, she worked in the Northeast Ohio office, the Chicago office and with the entire Midwest region focusing on business development and marketing efforts for various lines of business. During this time, Kelly received the YWCA Women of Leadership Award. Recognizing the importance of supporting others, Kelly serves as a coach and mentor to many professionals looking to grow in their careers.